A missile attack in Syria's northern region has killed 26 pro-government fighters, mostly Iranians, a Syria war monitoring group said Monday. A missile attack targeting government outposts in Syria's northern region killed 26 pro-government fighters, mostly Iranians, a Syria war monitoring group said Monday. Iranian media gave conflicting reports about the overnight incident amid speculation it was carried out by neighbouring Israel. The attack came hours after Israeli Prime Minister Benjamin Netanyahu talked to President Donald Trump on the phone. The White House said the two leaders discussed the continuing threats and challenges facing the Middle East, "especially the problems posed by the Iranian regime's destabilizing activities." Another semi-official news agency, ISNA, said the strike killed 18 Iranians, including a commander, in a suburb of the central city of Hama. It cited "local sources and activists" for its report. Tehran has sent thousands of Iran-backed fighters to back President Bashar al-Assad's forces in the country's seven-year civil war. The attack comes amid soaring tensions between Iran and Israel following an airstrike earlier this month on Syria's T4 air base in central province of Homs that killed seven Iranian military personnel. Tehran has vowed to retaliate for the T4 attack. 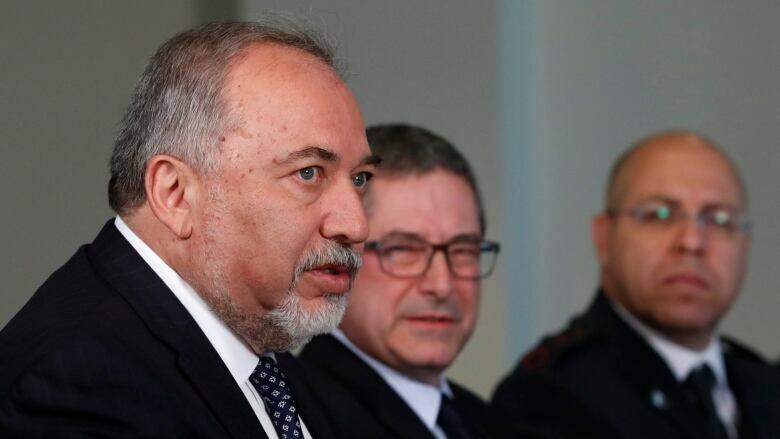 Israel Defence Minister Avigdor Lieberman said in an interview published last Thursday that his country will strike Tehran if attacked by archenemy Iran, escalating an already tense war of words between the two adversaries. Iran's semi-official Tasnim news agency on Monday quoted chief of Fatimayoun Brigade, an Iran-backed Afghan militia in Syria fighting alongside Iranian forces, as saying their base near Aleppo was not targeted during the strikes and they had no casualties. It did not elaborate. 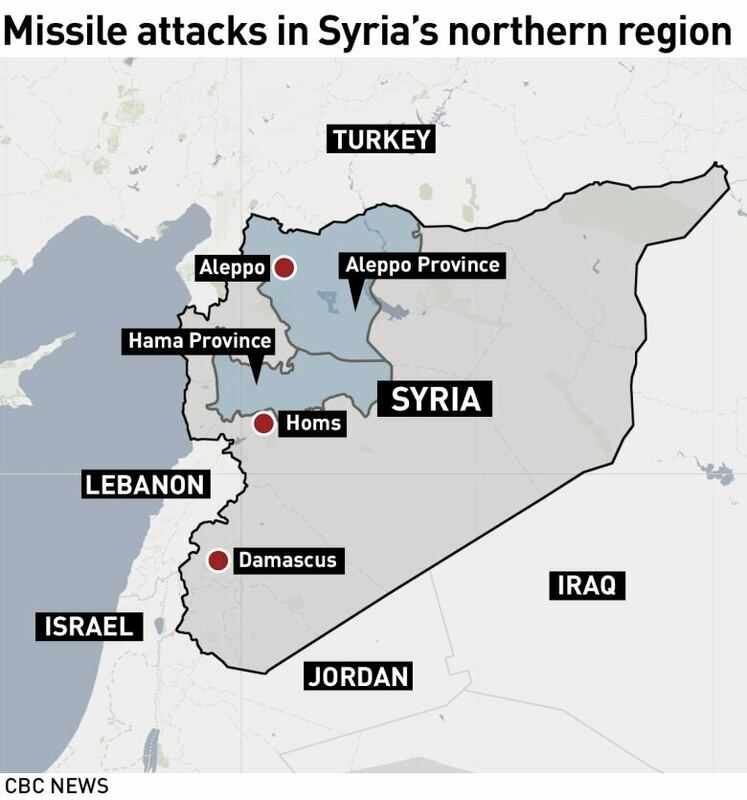 Earlier on Monday, Syrian TV reported a "new aggression," with missiles targeting military outposts in northern Syria. The state-run television reported that the missiles targeted several military positions before midnight Sunday outposts in the Hama and Aleppo countryside. Lebanon's Al-Akhbar daily, which is considered close to the militant Iranian-backed Hezbollah group and the Syrian government, said the attack targeted "important arms depots used by the (Syrian) army and Iran's Revolutionary Guards." It said that missiles used in the attack appear to have been bunker buster. Syria-based opposition media activist Mohamad Rasheed said that base that came under attack is about 10 kilometres outside the city of Hama adding that airstrike led to several explosions in the arms depot. He added that the area is known as the Maarin Mountain or Mountain 47.